Gift of János Scholz, 1984. Ms. single leaf; written in northern Europe, 14th century. 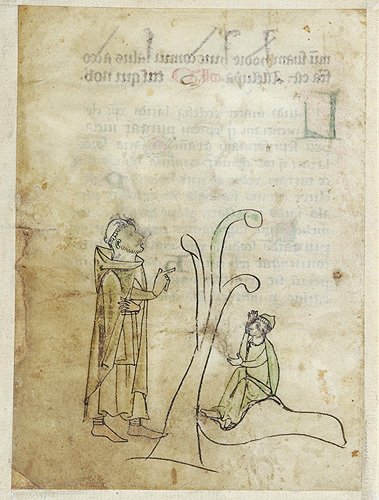 Leaf from an unidentified liturgical manuscript. Decoration: 1 pen drawing, 5 filigree initials.